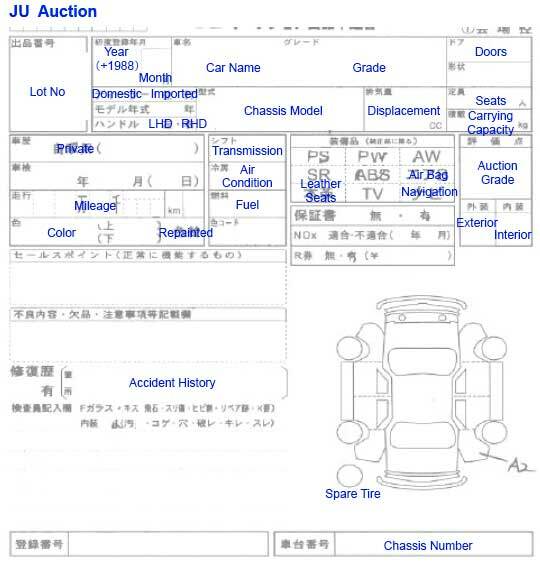 How to check Auction Sheet | JTM Co., Ltd.
-Some dirt but would be B if it is cleaned. 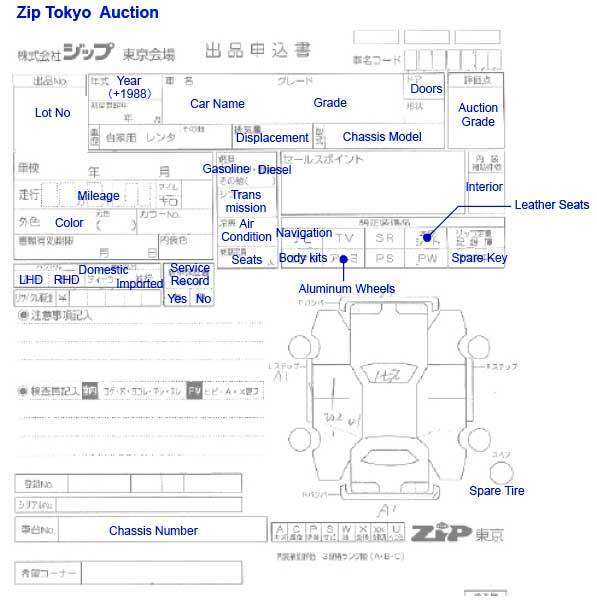 On the auction sheet, the manufacture year is not written in the western calendar. 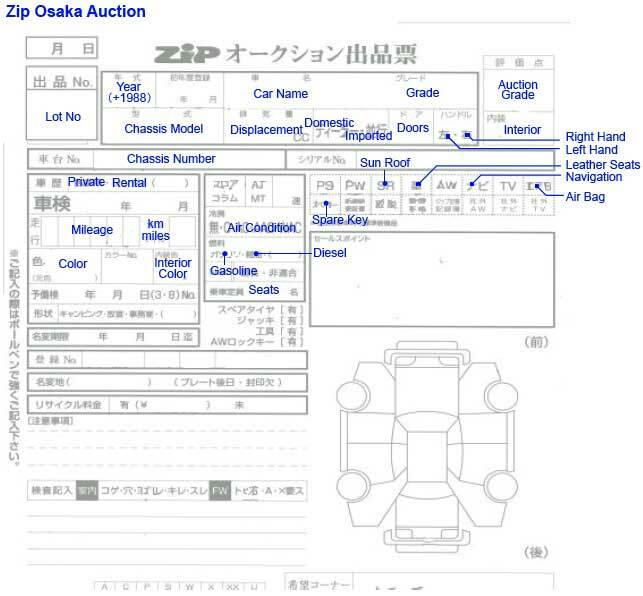 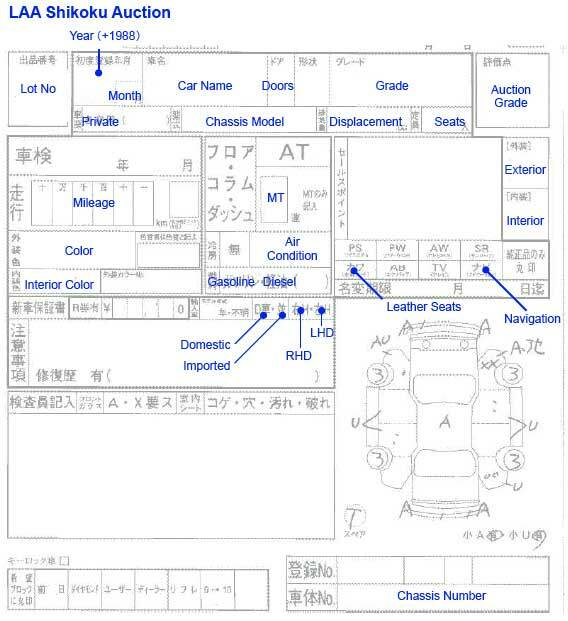 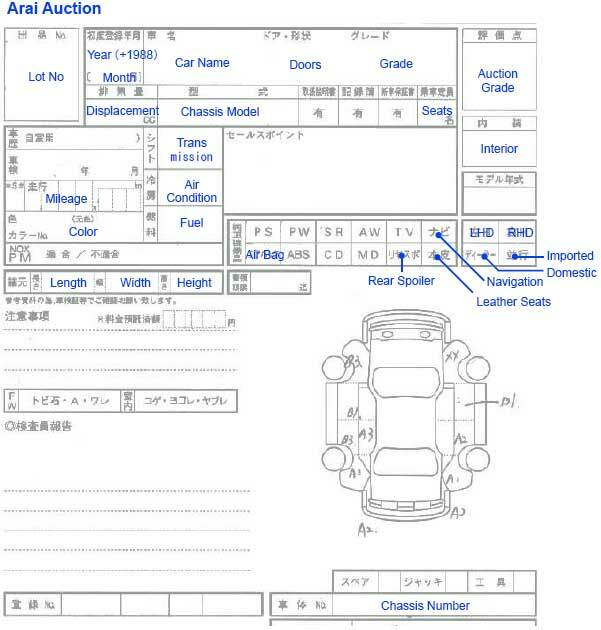 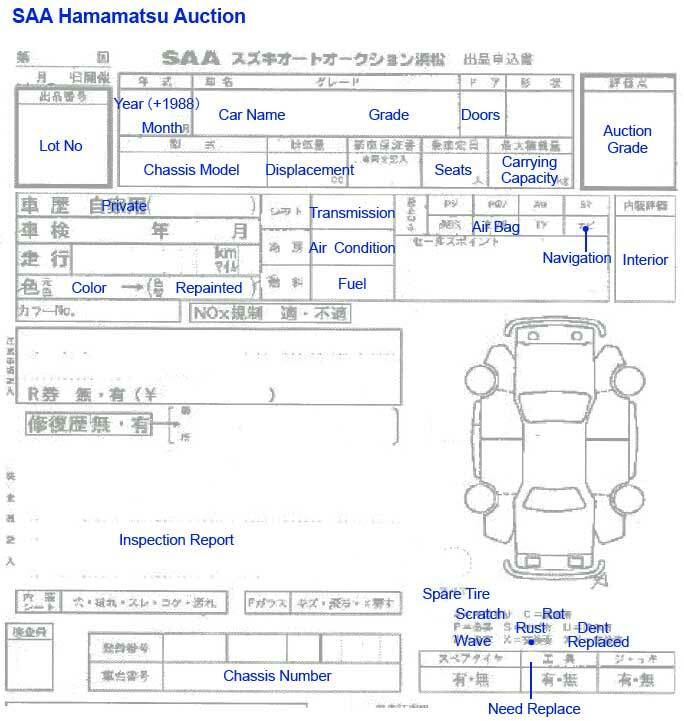 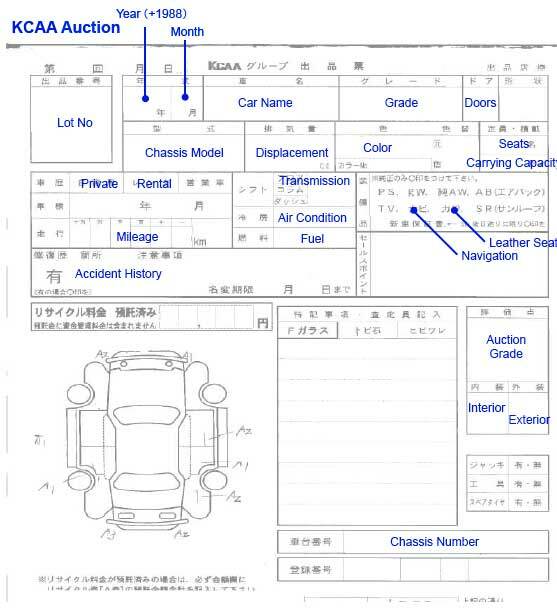 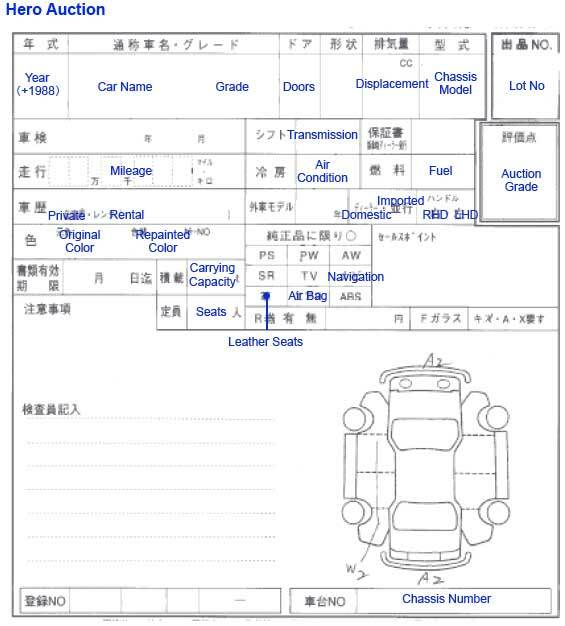 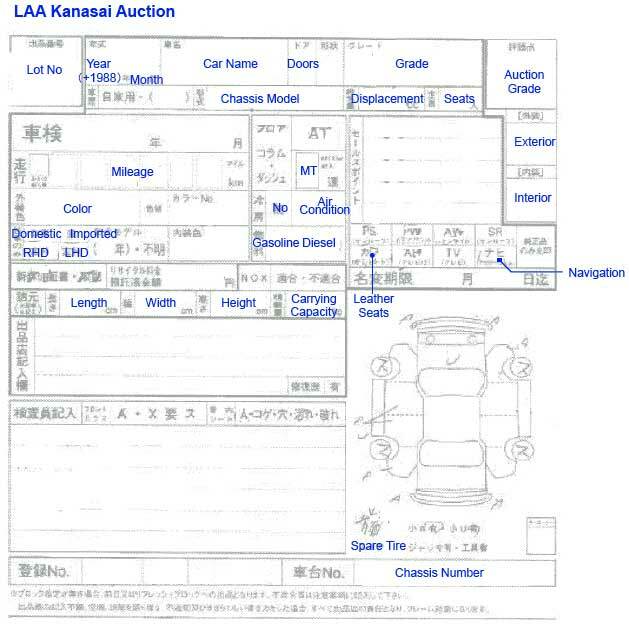 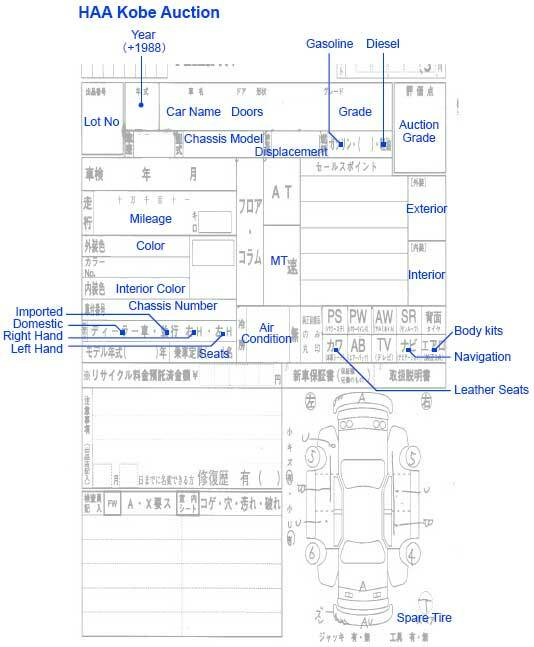 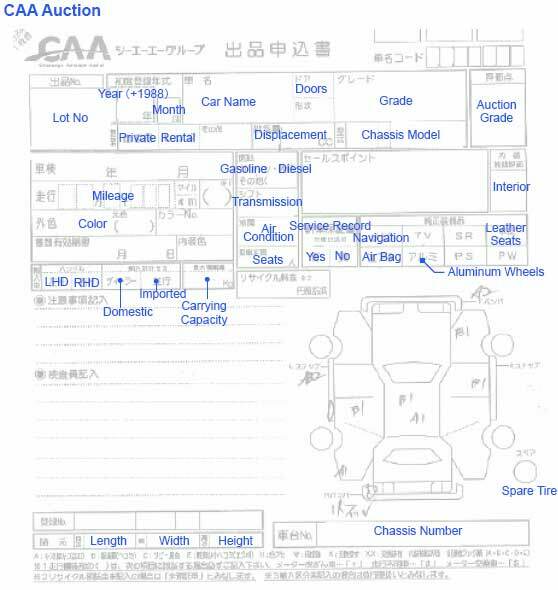 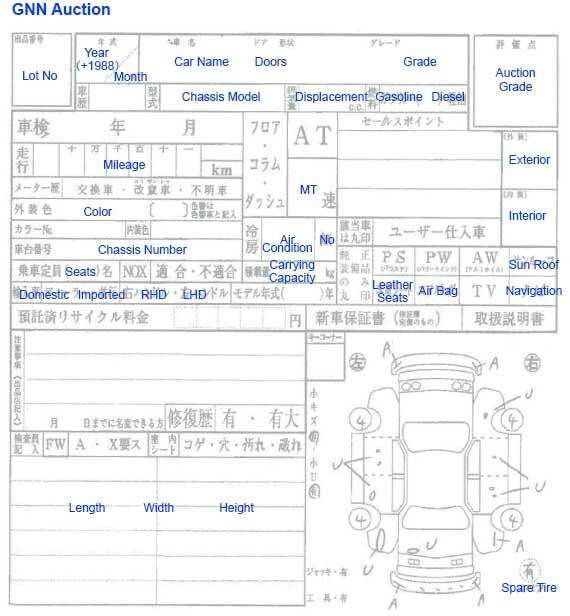 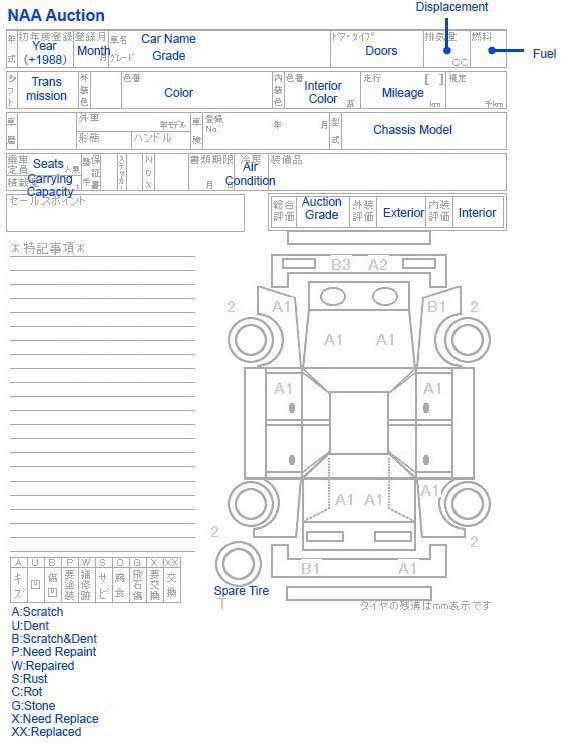 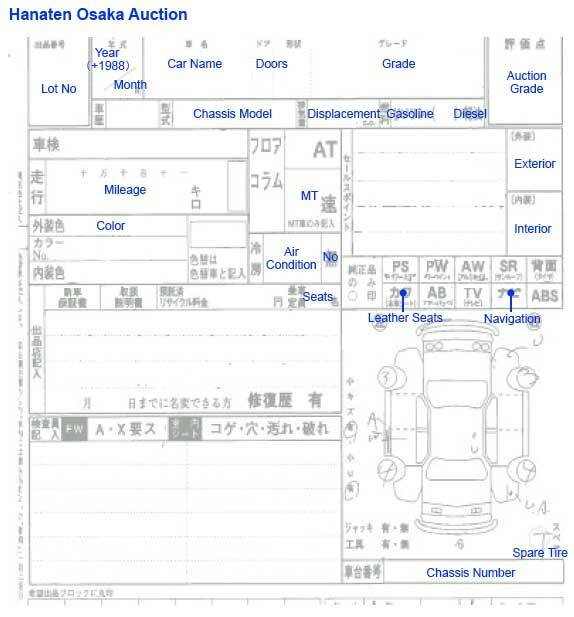 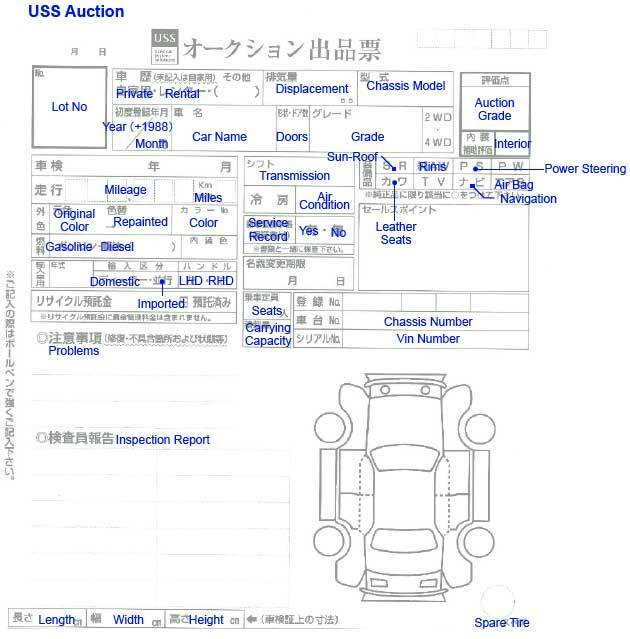 We will translate the auction sheet of inquiring cars. 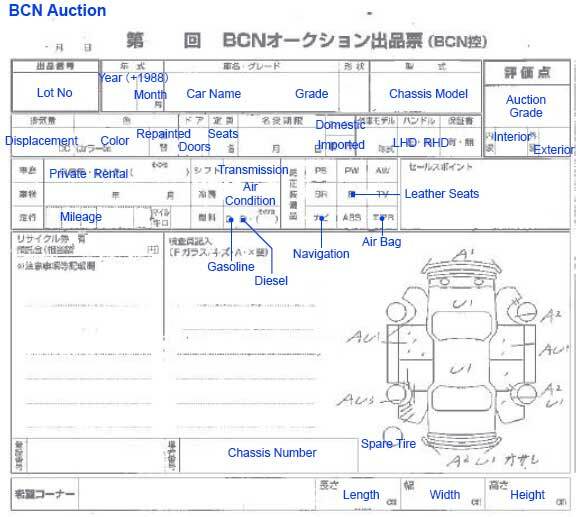 So please do not worry if you find it hard to understand the auction sheet. 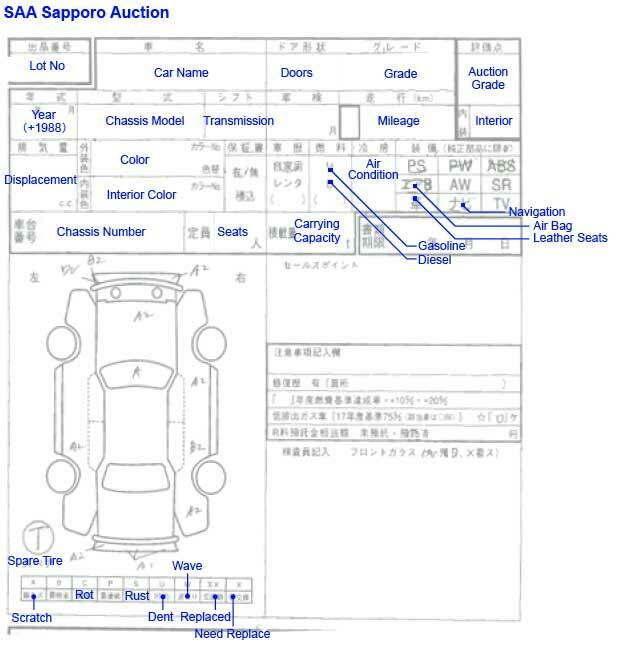 When the following basic flame parts(1~2) have been repaired or replaced, it will be accident history car.